Are you aware how your current MFPs and laser printers impact the environment? Ricoh promotes quantification of environmental impact of our products. 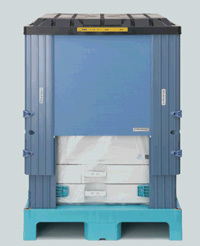 Ricoh offers recycled copiers. Each product is composed of recycled parts weighing more than an average of 80% of the machine weight. This product line, ranging from black and white to color, was completed with the launch of digital color printers in 2009 and made possible to meet a broad range of customer needs in terms of energy-saving performance as well as quality. A carton case for a MFP or a laser printer is either disposed or recycled at the end of journey to the customer. Ricoh contributes to resource saving through the use of more returnable racks and fewer carton cases. 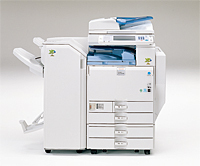 Ricoh's MFPs and laser printers have the energy-saving mode. All these user-friendly products allow customers to save energy easily and effectively by optimizing the mode. 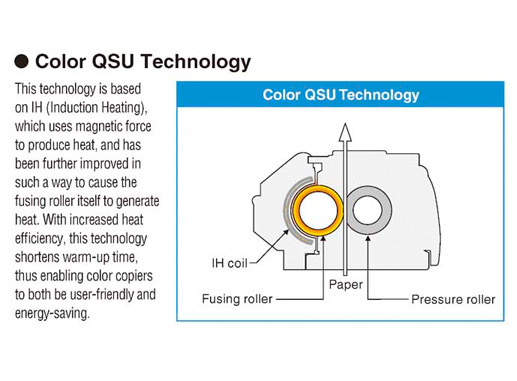 RICOH’s QSU technology has enabled quick recovery from the energy-saving mode. Illumination is said to account for about 40% of electricity consumed at a typical office. This means significant energy saving is possible if fluorescent tubes, most commonly used at offices, are replaced with LED tube lights. Ricoh's LED tubes can be installed in existing fluorescent tube fixtures without major electric works. The products are featured with electric shock proof ferrules and flicker-free designs. Ricoh's "@Remote Green Report Service" provides centralized monitoring of MFP and laser printer activities. This reporting service helps you keep track of monthly power consumption, paper consumption, and utilization of the energy-saving mode and the paper-saving functions.